Benny Katzover says destroying activist Kaisler's home is worse than what Ehud Barak did as defense minister. 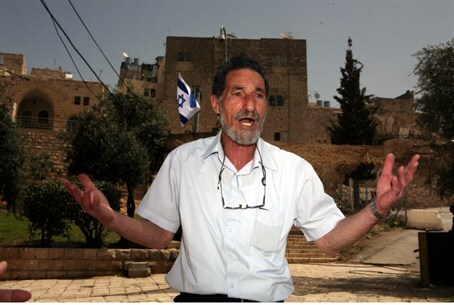 The Chairman of the Samaria Residents' Council, Benny Katzover, who has been one of the prominent leaders of the Judea and Samaria settlement enterprise since the 1970s, told Arutz Sheva Wednesday that the demolition of the home of activist Sagi Kaisler Wednesday is so reprehensible that it makes Ehud Barak's policies look better than those of the present Defense Minister, Moshe (“Bogey”) Yaalon. Kaisler is the Residents' Council general manager. "You simply do not destroy a home inside an outpost, anywhere, unless there was personal vindictiveness here, because of Sagi's activity in the Council,” he explained, adding that the extent of the damage is about a million shekels. Katzover promised that a demonstration will be held outside Yaalon's home.